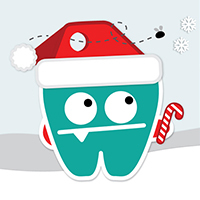 The holiday season is a mouth monster’s favorite time of year! Check out this cute ‘Interview’ with Mouth Monster Tooth D.K. that reminds kids how to avoid his pesky presence during this festive season.